Contests: It’s That Time Again! 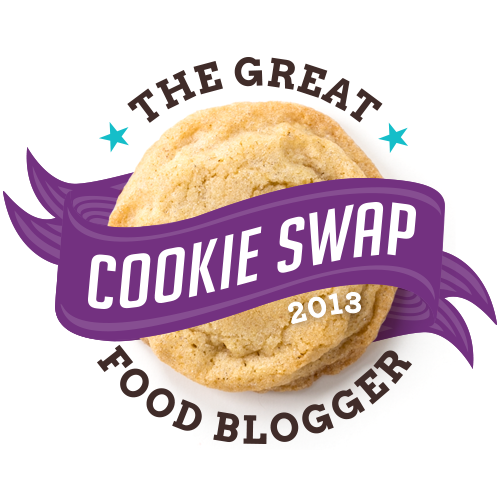 It’s hard for me to believe it’s been a whole year since the last/first time I participated in this, but it’s time again for the Great Food Blogger Cookie Swap, hosted by The Little Kitchen and Love and Olive Oil, two fantastic food blogs hosted by some amazing people! Last year, I participated in this cookie swap while still part of the gruesome twosome fondly remembered as The Chronic Masterbakers (blog now defunct). While the two of us have since parted ways, I still remember the good times we had, making cookies and sending them off oh-so-carefully through the post to three other Canadian food bloggers, and excitedly waiting on the three packages we would receive in return! The rules of the swap are simple; I cannot publish or even mention which recipe I will be sending out to the three food bloggers I’m sending to until after they have been mailed off in November; the cookie recipe has to be “new” to me, as in I’ve not posted about it in the past, and it needs to be the same recipe for each of the three bloggers. However, after I’ve mailed out the goodies, I can (and am encouraged to) publish photos and the recipe on my own blog so everyone can enjoy making them themselves! I will also be posting photos of the cookies I receive from my three bloggers. Why all the fuss, you ask? Well, it’s a nifty little food blog “linking party”, for one; it also helps get my blog out there to a few more interested (and interesting) readers, and best of all it’s for a good cause! In order to join the Cookie Swap, I donated the very reasonable sum of $4 bucks, 100% of which will be donated to Cookies for Kids’ Cancer. So, watch this space for interesting cookie-related posts and pics! I’m really going to have to go through all of my recipes to find the perfect one for this year’s swap (one of my favourite things to do, truth be told…) Yaaay! Previous Post Scouts Canada: Making Finger Puppets!